Jewel Changi Airport, a project estimated to cost $1.7 billion, will bring new additions to Changi Airport in 2019. Latest Update: On Tuesday, 6 Feb 2018, Changi Airport Group (CAG) announced that construction of Jewel Changi Airport is about 70 percent complete, and the sprawling complex is set to open its doors on the first half of 2019. If you would like to get a sneak peek at the upcoming attractions in Jewel, visit the CAG booth at the Singapore Airshow, which will run till Sunday, 11 Feb 2018. A model of the complex and a 20m-long, 8m-wide replica of the sky net — one-tenth the size of the attraction — has been set up there. Changi Airport is going all out to ensure that it retains the title of ‘World’s Best Airport’ in years to come. 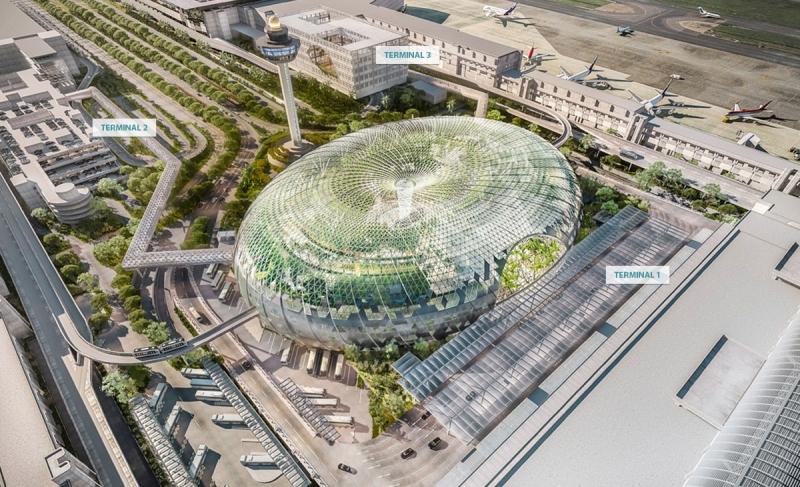 Slated to open in early 2019, Jewel Changi Airport is an impressive new project that’s set to break new records. Conveniently housed between Terminals 1, 2, and 3, the Jewel will be a world-class lifestyle destination offering facilities including airport services, indoor gardens and leisure attractions, retail and dining spaces, as well as a hotel. Since it’ll be more than a year before the Jewel is officially opened, we’ll let these pictures do the talking for now. Here are the attractions that will enthral you in this 134,000 sqm dome-shaped complex. 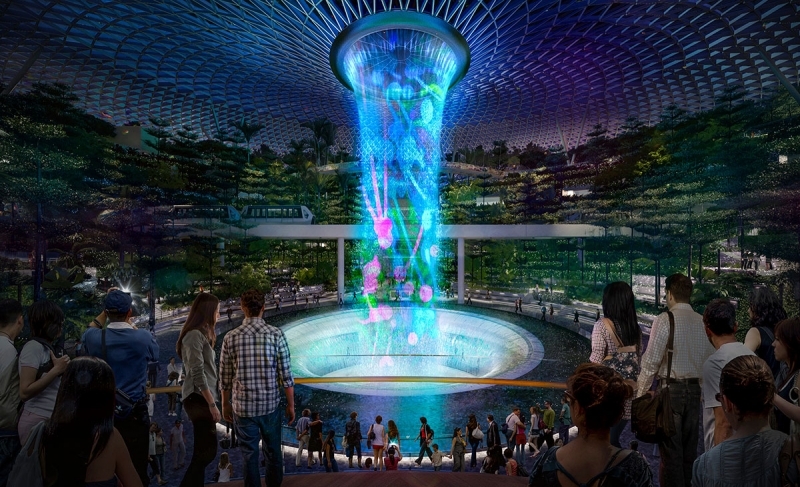 The centrepiece of Jewel Changi Airport is its 40-metre tall Rain Vortex, which comes alive in dramatic lights and sounds at night. Suspended 23 metres above ground, the Canopy Bridge – with its glass panel flooring and mist effects – allows visitors to stroll amongst the clouds over the Forest Valley. 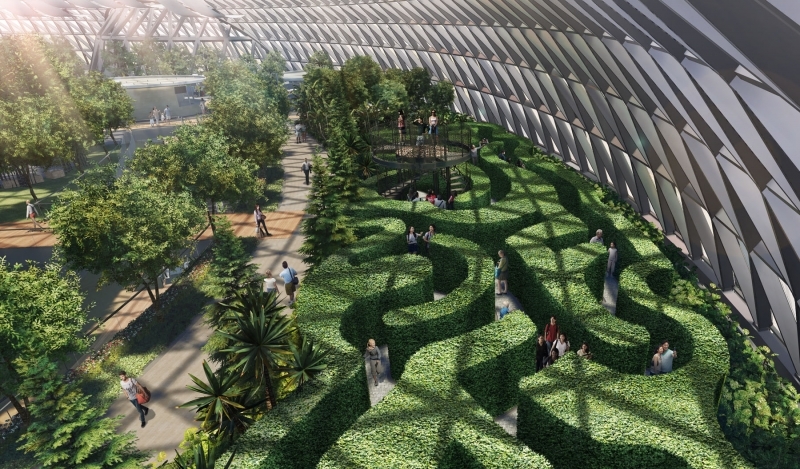 There will be two mazes in the Jewel complex: a hedge maze, which also boasts being the largest hedge maze in Singapore, and a mirror maze which promises an exciting (and confusing) challenge to visitors. 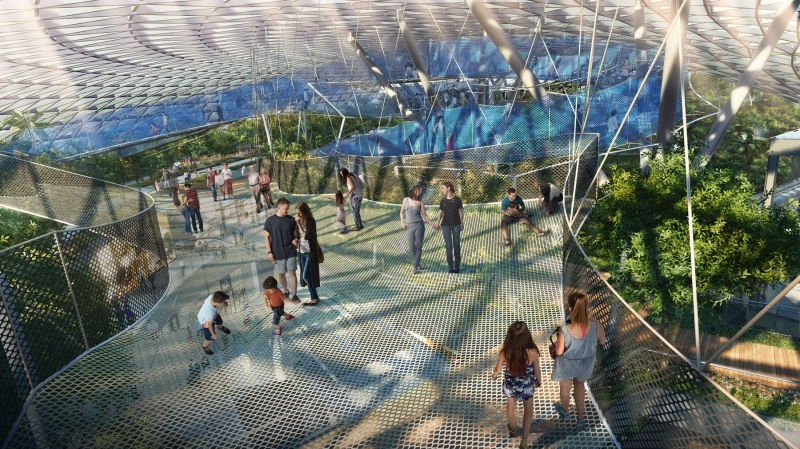 The 25-metre-high Sky Nets allow visitors to bounce or walk through the Jewel. At its highest point, visitors will be suspended three storeys above ground. 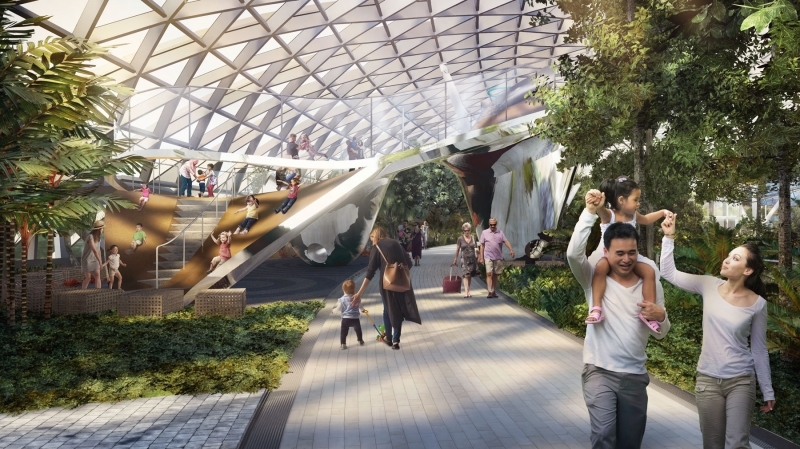 Adding on to the numerous gardens in Changi Airport, the five-storey-high Canopy Park will play host to over 1,400 trees and palms. Besides being just a play slide, the Discovery Slides in Jewel also serve as a large-scale art sculpture and a viewing gallery with its 6.5-metres-high observatory deck. The Jewel complex will also house a YOTEL hotel that features 130 Premium, Family and Shower cabins. 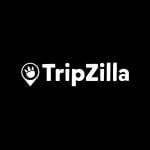 Guests can enjoy YOTEL’s signature space-saving convertible bed, monsoon rain showers, and techno-wall with flat screen TVs. This is a world-class destination done right, and we can’t wait to see it in its fullest glory in 2019. Information and photos extracted from press release issued by Jewel Changi Airport Devt Pte. Ltd.